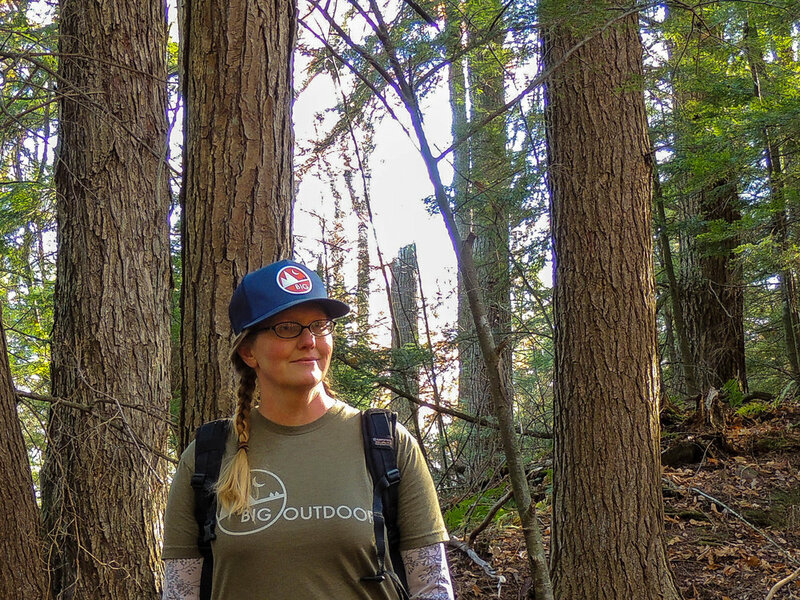 Spending a weekend in the woods is the best way I know to recharge and reconnect with nature, whether heading out on a solitary backpacking adventure or setting up a tent at the nearest campground. When camping in close proximity to others, especially in a developed campground, it’s important to respect the land and be mindful of your neighbors. Want to ensure a that you get what you need from your adventure while still making friends in the woods? Follow these campground etiquette tips. Abide by quiet times in the campground. I know. You’re on vacation. You don’t want to go to bed at 10 pm. As long as you’re keeping things mellow, you can stay up as late as you want, but please for the sake of your neighbors — no radios, loud talking, or generators during quiet hours. Oh, and speaking of generators, many campgrounds mandate specific hours for generator use. That’s because generators are ridiculously loud, especially for tent campers. Respect your neighbor’s space. Don’t cut through occupied campsites for a quicker trip to the beach or the bathroom, and be mindful of your neighbor’s privacy. If you’re camping with kids, make sure they follow this rule as well. Keep your campsite clean. And most importantly, don’t leave food or garbage unattended. Rodents, birds, and bigger critters are just waiting for the opportunity to vandalize your site and steal your food. The raven below had a great time at our neighbor’s campsite in the Grand Canyon, and while we tried to keep him away, he was really persistent and gobbled up several bags of potato chips when we weren’t looking! Follow Leave No Trace principles. As a lover of the outdoors, you want to create as little impact on the ecosystem as possible. This means being respectful of wildlife, disposing of waste properly, and minimizing your camping footprint. Read more about Leave No Trace principles here. Don’t Move Firewood. Invasive insect species and other parasites are decimating our forests at an alarming rate. These critters don’t discriminate and will hitch a ride on your firewood as they search for their next victims. New infestations often begin in campgrounds and parks, so it’s really crucial that campers respect these regulations. You can view state-by-state information about moving firewood here. Put Out Your Campfire. We don’t see much of Smokey the Bear these days, but he’s still out there, reminding campers off all ages to keep their campfires a manageable size and extinguish them completely when the fun is over. Yes, it’s still true — only you can prevent forest fires! Clean up after your pooch. You’re camping neighbors will not appreciate smelling (or stepping in) any gifts your dog leaves laying around the campground. Not cleaning up after your dog is a good way to make enemies of your neighbors! Keep your dog quiet. Does your dog bark at every single person, squirrel, or dog he meets? Consider looking for an out-of-the-way campsite to minimize distractions and pacify your camping neighbors. Don’t leave your dog alone at your campsite. Most campgrounds have rules about leaving your pooch unattended. To avoid problems, be sure you supervise your dog at all times. Keep social interactions to a minimum. Just because your dog is the friendliest pup on earth, doesn’t mean he has to meet and greet everyone he comes across. While many people are enthusiastic about loving up other people’s dogs, others would prefer to keep their distance. If your neighbors are dog-lovers, they will be the first to let you (and your dog) know. Bring along some instruments. Guitars and campfires go together like cookies and milk, and a little night music will set the mood for a lively evening under the stars. Don’t forget the beverages. Whether you prepare the best camp coffee around, or you’ve got some extra homebrews in the cooler, sharing your beverage of choice with your neighbors is a great way to make friends. Roll out the welcome mat. Creating a campsite that doubles as a cozy retreat will encourage visitors. If you’ve got the room, why not bring a few extra chairs, some solar-powered twinkly lights, and a colorful tablecloth? This camping thing could turn into a whole lifestyle! You don’t have to be a hard-core trekker to enjoy a night or two under the stars. Follow the above guidelines for proper campground etiquette to become an ambassador for outdoor recreation and wild spaces everywhere. Written By Tara Schatz: Tara has lived all over the eastern United States, but she currently hangs her hat in Bennington, Vermont. She is a full-time writer and photographer who loves nothing more than a long ramble through the woods, followed by a night spent under the stars. She's got a serious sweet tooth, and has been known to bake cakes over a campfire. Tara blogs at Back Road Ramblers, where she aspires to help families connect with the world and each other by embarking on outdoor journeys big and small.